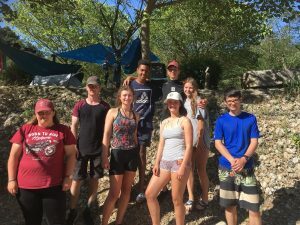 Army Cadets from across Derbyshire travelled to the South of France last month where they completed an adventurous expedition by canoeing along the river Ardèche. 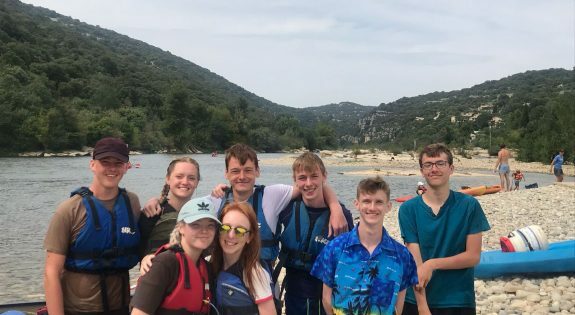 16 cadets went on the expedition and they spent 4 days and 3 nights travelling along the river Ardèche from Aubenas to St Martin, navigating the difficult rapids and weirs along the way whilst carrying all their equipment with them. The cadets were all members of Derbyshire Army Cadet Force (ACF) and used the challenging expedition as part of their Duke of Edinburgh Gold Award. Cadet Colour Sergeant Oliver McKinley, aged 17 from Long Eaton detachment, explained: “The expedition put us into an area that we were unfamiliar with, that provided different challenges and considerations. Which is very much in the spirit of the Duke of Edinburgh Award. In order to navigate the difficult river the expedition participants needed to develop their team working skills. Preparing for the expedition created new challenges the team had to face, they needed to consider ways to reduce the risk of heatstroke, understand how to tackle large rapids and overcome the cultural differences. 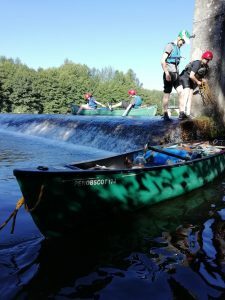 Typically Duke of Edinburgh expeditions involve the team walking in wild country and camping out each night but the Derbyshire team choose to tackle it in canoes because of the added challenges. 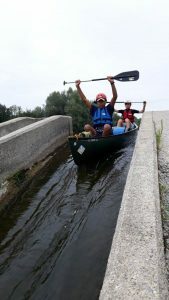 Oliver said: “The canoes imposed extra difficulties on our team, each morning the canoes had to be loaded and every evening we needed to drag them up the bank before unloading them. “Our kit had to be carefully packed because it had to be waterproof when completely immersed in the water due to the risk of capsizing. As part of the Duke of Edinburgh Award the cadets must make a presentation about their expedition, they plan to use this to examine the environmental impact of tourism and trips like their own upon the river Ardèche. The expedition was partially funded by the Ulysses Trust which provides funding assistance to challenging expeditions and adventurous activities that involve members of the Reserve Forces or Cadet Forces.